The Department of Civil and Environmental Engineering is located in the Tech building, 2145 Sheridan Road, Evanston. 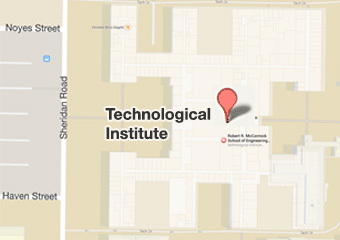 Find the location and directions to a room or person in the Technological Institute (”Tech”), the main building for McCormick on the Northwestern Campus. View our newsletter to get the latest information about the Department of Civil and Environmental Engineering.